LEATHER, ALLOYS, BLUETOOTH, BACKUP CAMERA & GAS SAVER!! No hidden fees, real prices for clean cars with real people. 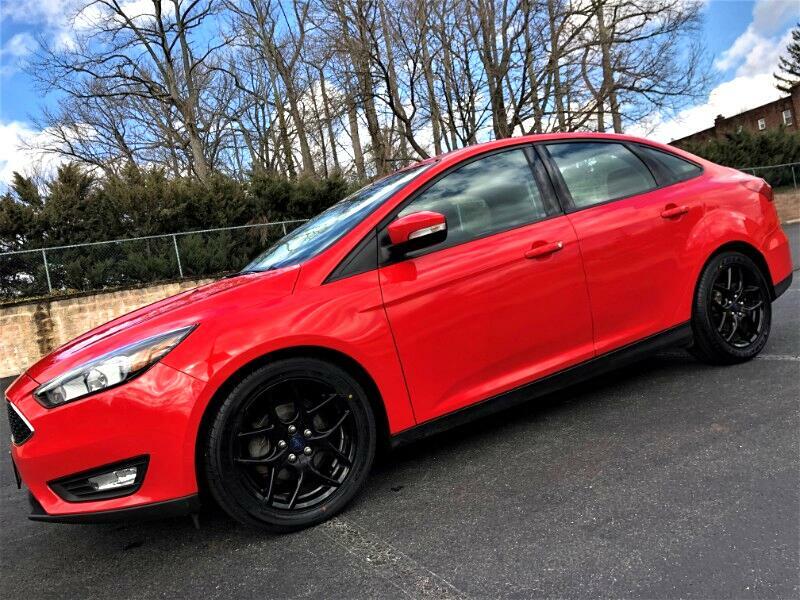 2016 Ford Focus SE with only 59,910 miles. Sharp Red exterior with Factory Premium Sport Wheels with Leather interior. 4 BRAND NEW TIRES. Amazing mpg at 26 city/36 highway. Features like Factory Premium Sport 17" Wheels, Leather interior, Smart Device Integration, Bluetooth, Streaming Bluetooth Audio, XM Ready, USB Port, Aux Port, and more. Eligible for purchase of comprehensive bumper to bumper coverage with duration up to year 2026 or until odometer reads 125k miles. Great financing options available.